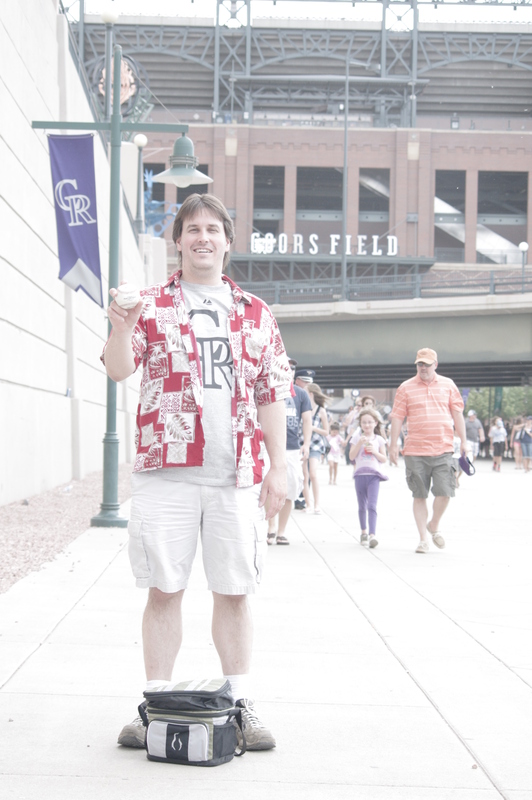 365 Project – Day 183 – Foul Ball! It took 34 years and a trip to Colorado, but Stevie finally caught himself a foul ball, and at Cadence’s first major league game no less. I guess our little girl is good luck. 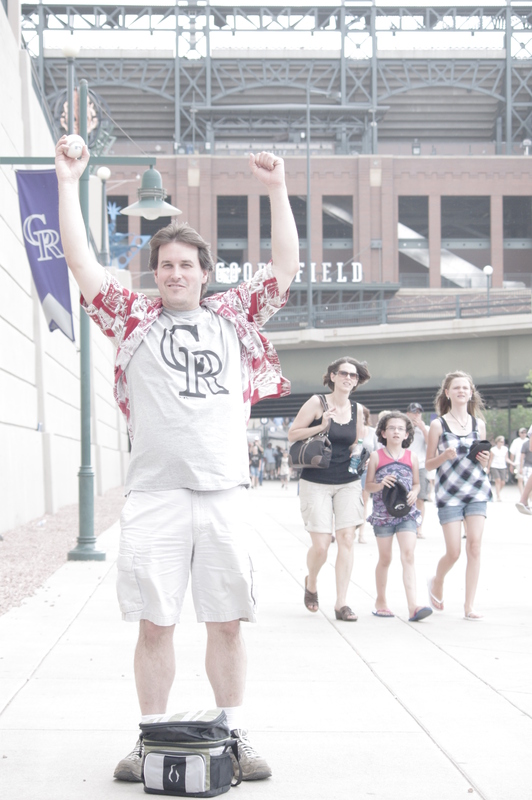 Today’s 365 Project is dedicated to my dear husband and one item checked off his Bucket List. All in all, I would call that a pretty fantastic day! Previous Entry 365 Project – Day 182 – Where in the World is Dunkin’ Donuts?